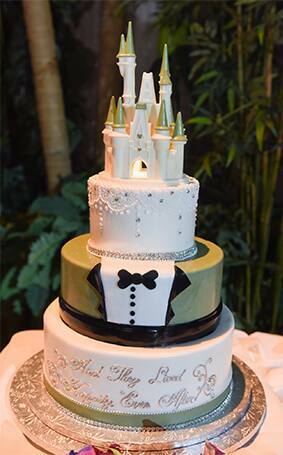 Looking for a cake that satisfies both the bride and the groom? 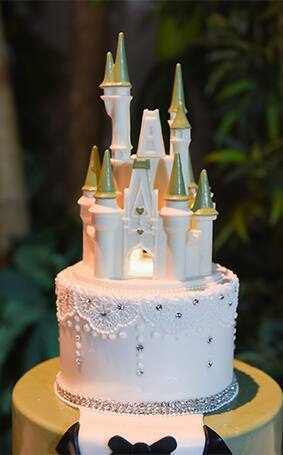 This intricate, three- tier Cinderella Castle cake truly has something for everyone. With its gold and silver accents, this cake fits right in with any elegant affair. From the dapper tuxedo pattern to the detailed bridal lace (with a touch of bling!) no section is left untouched. 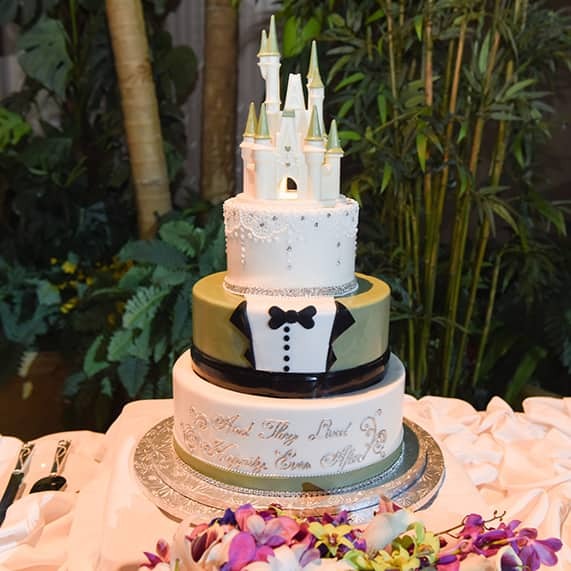 Sharing this sweet treat is sure to lead to "happily ever after". Oh my cheesepuffs! This cake is gorgeous. I can't wait for my wedding to eat this cake!